With the Dark Blue Glass Mosaic Wall Tile, it's easy to add a splash of contemporary styling to your decor. 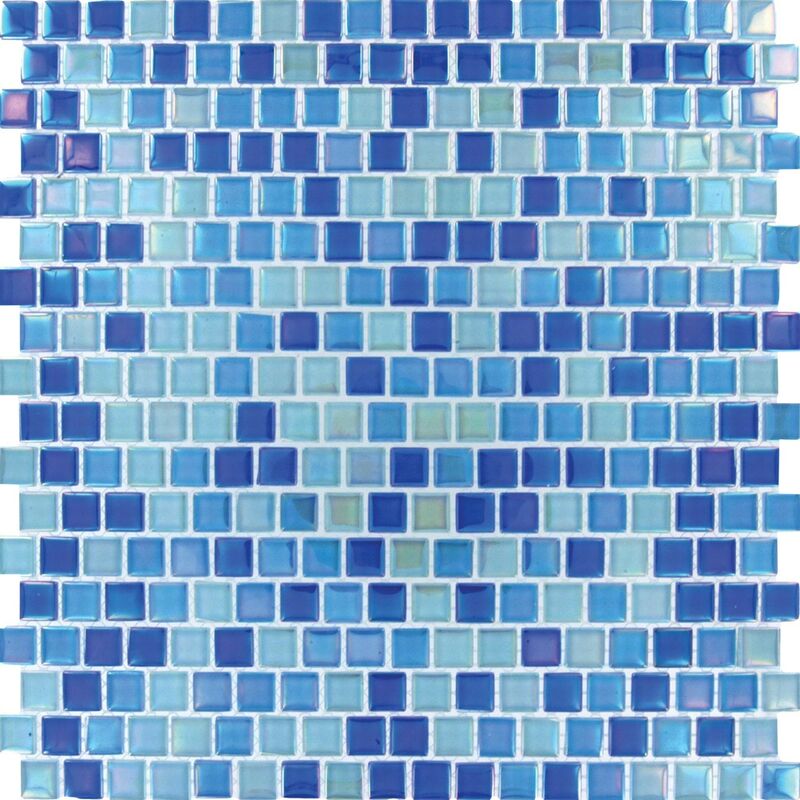 This attractive tile features an arrangement of various tones of blue, 5/8 in. x 5/8 in. crystallized glass tile chips on a 12 in. x 12 in. mesh sheet that makes installation a much easier process. The mosaic can also be cut into strips to install as inserts and accents. With a rainbow effect, this tile creates a distinct pattern and is ideal for use on interior and exterior walls. The mosaic has infinite applications to complement a variety of installs including pools and showers.